Create new memories, have inspiring adventures and go where the locals go — anything is possible in Seaside. But first, let us offer you the facts about your next vacation destination! Seaside is 70 miles (113 kilometers) to the northwest of Portland, a prominent city. It won't be too tricky to make new friends in this part of North Oregon Coast. It's home to around 6,000 locals. Organize your Seaside package deal via Travelocity, and watch how much you save. With no less than 400 airlines and 665,000 accommodations, you've got a world of options. From flights and accommodations to activities and car rentals, we can give you 24/7 personal assistance with our Customer 1st Guarantee. Found a better deal? We'll match the price and refund the difference^. Alterations to reservations will never incur extra charges from us. And as long as you get in fast, most accommodations won't charge a fee either^. Few things are as satisfying as falling into bed after an intense day of seeing the sights. 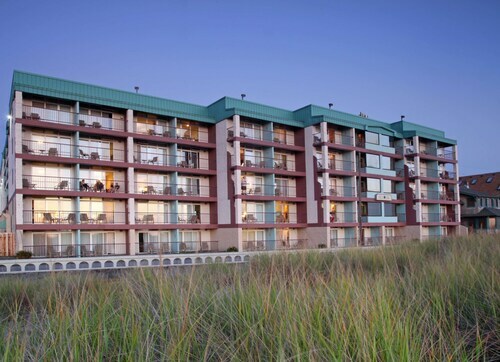 With an impressive 33 accommodations in Seaside, you can have your pick of the cushiest of them. Organizing a place to stay can often be a tedious task. Make the process as easy as possible and check out some of our favorite options, the Resort at Seaside and Sand And Sea Condominiums. Where do you fly into for Seaside? Plug in your headphones and binge-watch a couple of films. Before long, you'll be touching down at Astoria Regional Airport (AST). It's approximately 11 miles (18 kilometers) to the north from the center of Seaside. Can I rent a car in Seaside? Take a stroll around Seaside and soak up the local culture. If you plan to go a little way out, grabbing a rental car via Travelocity will certainly help. Once you land at Astoria Regional Airport, there's no need to wait long to take off in your very own car. Enterprise is 11 miles (18 kilometers) away at 261 W Marine Dr.
We're all wild about our feathery and fuzzy friends, but how about spending a day with those who are a bit more slimy and scaly? Meet a few of the spectacular animals of the aquatic world at Seaside Aquarium. Need some more ideas? It doesn't matter whether you're trying to hit a hole-in-one or just in the mood to practice your swing, you'll have a blast at Gearhart Golf Links. But that's not all there is. Burn off some calories and get a breath of fresh air by walking to the top of Tillamook Head. Don't forget to keep an eye out for wildlife along the way. If you've checked out the best of Seaside already, don't panic! 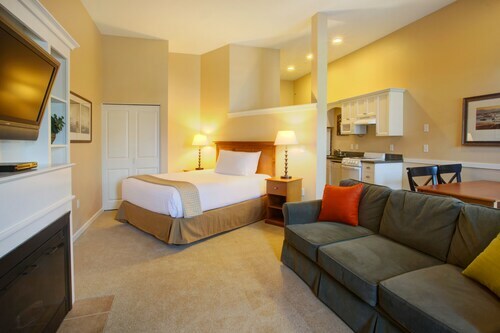 Just 20 miles (32 kilometers) away is Manzanita, and you definitely won't be bored here. Nehalem Bay State Park is a great place to start understanding the story of this destination. Oswald West State Park and the Manzanita Golf Course are more places that shouldn't be missed. Searching for more options? Chinook is 20 miles (32 kilometers) from Seaside. Visit for attractions like the Painted Lady Lavender Farm, the Middle Village Station Camp and the Fort Columbia State Park. You've got a world of choice! 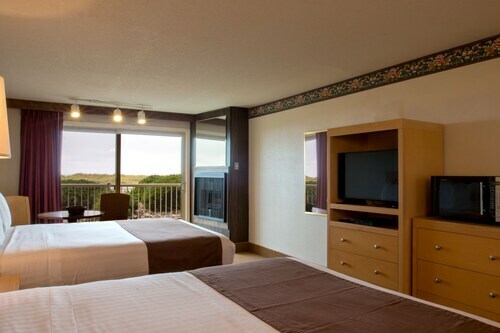 Located in Seaside, this beachfront hotel is in the city center, 0.1 mi (0.1 km) from Turnaround Market, and 2 mi (3.2 km) from Ecola State Park. Historic Turnaround and Seaside Aquarium are also within 5 minutes. Nestled on the beach, this Seaside hotel is 0.2 mi (0.4 km) from Turnaround Market and 1.7 mi (2.8 km) from Ecola State Park. Historic Turnaround and Seaside Carousel Mall are also within 10 minutes. Nestled on the beach, this Seaside hotel is 0.1 mi (0.1 km) from Seaside Aquarium and 2.2 mi (3.5 km) from Ecola State Park. Turnaround Market and Historic Turnaround are also within 5 minutes. 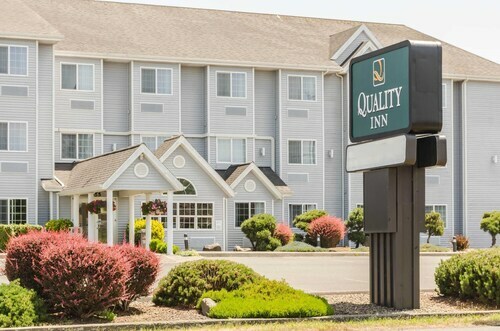 Located in the heart of Seaside, this hotel is 1.2 mi (2 km) from Seaside Golf Course and within 3 mi (5 km) of Seaside Family Fun Park and Ecola State Park. Coaster Theatre and Cannon Beach are also within 9 mi (15 km). Located in Seaside, this beachfront hotel is in the city center, 0.2 mi (0.3 km) from Seaside Museum and Historical Society, and 2.3 mi (3.7 km) from Ecola State Park. Seaside Aquarium and Seaside Civic and Convention Center are also within 10 minutes. 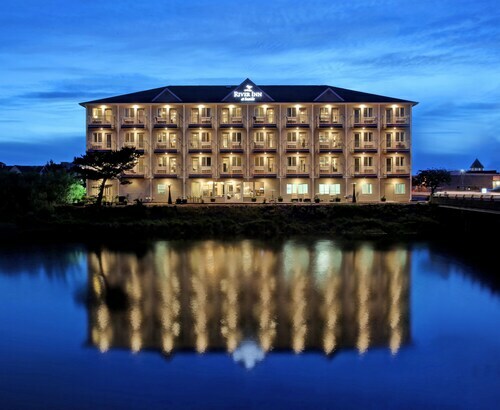 Situated in Seaside, this golf hotel is 0.3 mi (0.5 km) from Seaside Golf Course and 1.4 mi (2.3 km) from Ecola State Park. Seaside Family Fun Park and Lewis and Clark Salt Works are also within 1 mi (2 km). This family-friendly Seaside motel is located on a river, within a 5-minute walk of Seaside Carousel Mall, Seaside Antique Mall, and Seaside Civic and Convention Center. Ecola State Park is 2.1 mi (3.3 km) away. Situated in the business district, this hotel is 0.4 mi (0.6 km) from Seaside Antique Mall and 1.9 mi (3.1 km) from Ecola State Park. Seaside Visitors Bureau and Seaside Carousel Mall are also within 15 minutes.